FCS offers professional and personalized services suited to specific credit repair needs. 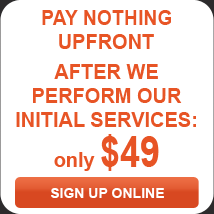 We guarantee you'll get the service you need; our credit professionals specialize in one thing only - Credit Repair. Credit repair begins with careful analysis of your credit report followed by the creation of a workable program that will repair your credit score and put you on a path to financial flexibility and freedom. By improving your score WE GUARANTEE you’ll improve your life! Damaging your credit is easy. Improving it becomes almost impossible – especially if you take the do-it-yourself route. Credit repair takes time, patience, expertise and know-how for the best results; and this is what we do best at Fast Credit Solutions. When you sign up with Fast Credit Solutions you may see improvement in your credit report as soon as 30-45 days. Only then you can start getting the “YES” back into your financial life: eligible for a new loan and lower interest rates on the ones you already have. If you have any questions regarding our services and how we can be at help with your credit score, please fill the form below, click send and one of our credit specialists will get back to you shortly. Thank you!